Beat together eggs and sugar in medium bowl until blended. 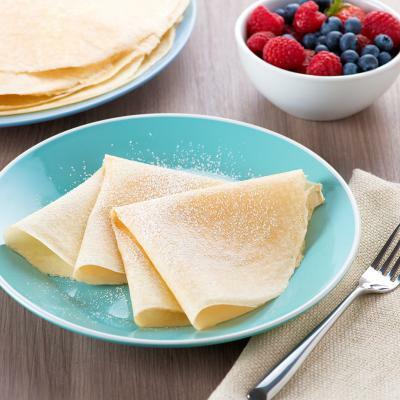 Gradually add in the flour, alternating with milk and 2 tbsp (30 mL) water, beating until smooth. Add melted butter and salt and continue beating until batter is uniform. Let batter stand at room temperature for 1 hour before using. 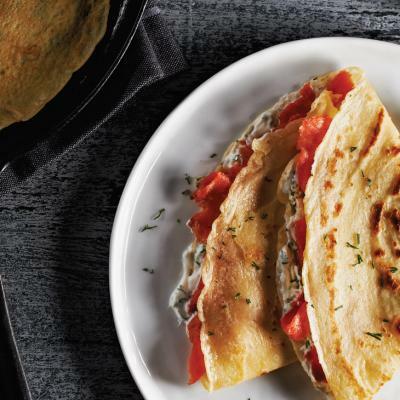 To cook, spray an 8-inch non-stick skillet or crêpe pan with cooking spray. Heat over medium-high heat until water droplets sizzle when sprinkled into skillet. Stir batter. Pour about 3 tbsp (45 mL) of batter into skillet, then quickly tilt and rotate skillet to coat bottom evenly with batter. Cook until bottom is slightly browned, about 45 seconds. 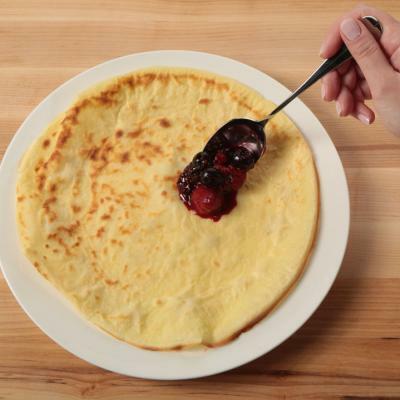 Flip crêpe with spatula. Cook for another 15 to 30 seconds. 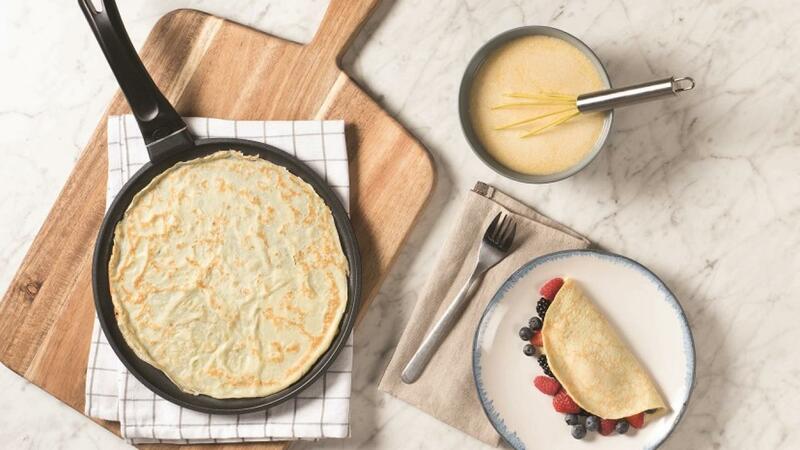 Transfer to plate and repeat with remaining batter, spraying skillet with cooking spray if crêpes begin to stick.